SUREWELD PlasmaDek 60 is plasma cutting machine with built in compressor for building site use primarily cutting inter-floor decking panels. 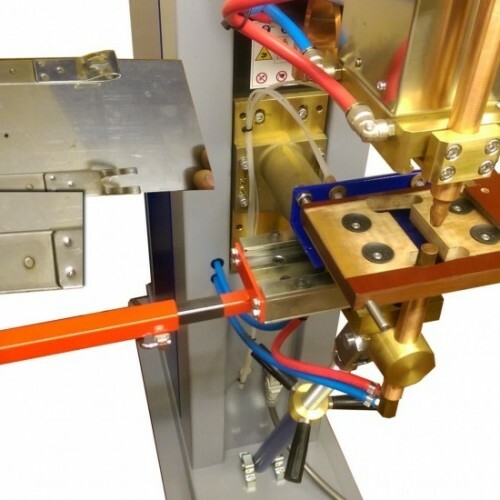 A PF151 Spot Welder fitted with jig to hold and locate stainless steel strip with suction pads and carryout welds in particular positions on a clamp strap has been supplied to a company manufacturing pipe joining sleeves. Six GS40 (40kVA) Series welding machines have been built into an automated line by specialists in automation CPI, for welding stiffener channels to mesh shelf panels. The 6 machines are mounted upside down and fitted with bar electrodes - each machine completing 4 welds at a time. A plc ensures that the 6 machines cascade to produce 24 welds in a very short time. 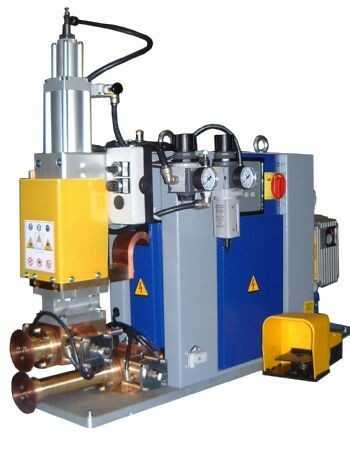 A new model bench mounted resistance SEAM WELDING machine has been conceived, designed and built for a client manufacturing aero engine insulation blankets. The model is bench mounted 15kVA with PX1600 digital programmable control with variable speed drive to the lower wheel by inverter motor. Also available as 25 or 35 kVA. The PX1500plus and PX1500Pplus Digital Synoptic controls have been popular for many years but with the intrduction of the new PY600 Constant Current Control the PX1600 has taken over from the PX1500plus. The PX1600 panel operates in exactly the same way as the old control - it is simply reconfigured to a new panel size (to be interchangeable with the PY600) and is programmable as standard.